Spectacular panoramic ocean views! Oceanfront Duplex-West Unit. 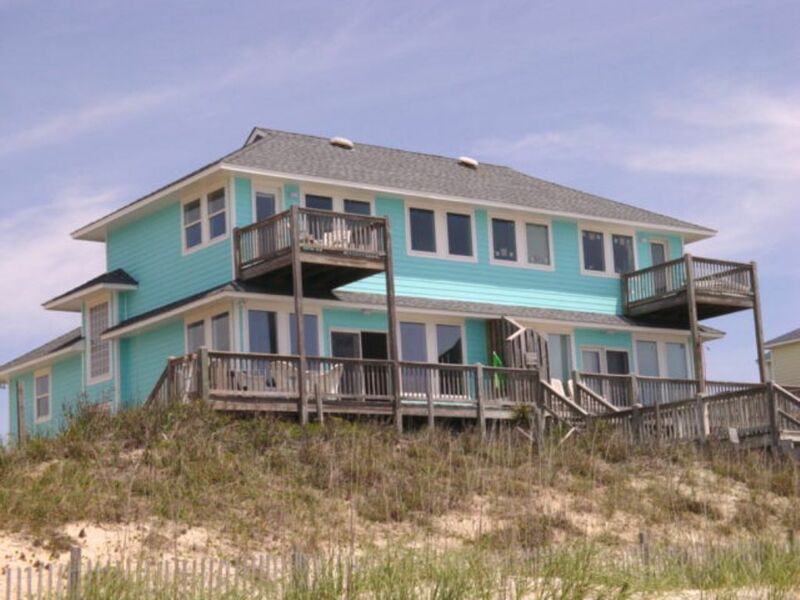 4 BR, 2 are oceanfront with private bath, 3 1/2 baths. K*Q*Q*2B* QSS*2R. Ground floor: Ocean front queen bedroom with private bath, TV, direct beach access; Game room with wet bar and fridge, flat screen TV, DVD, child’s Foosball, various books and games, queen and single futons and ½ bath. Fenced in patio, gas grill, enclosed hot/cold outdoor shower with dressing area. Main floor: Spacious queen bedroom with flat screen, DVD, and roll away. Bunk room with two twin bunks, flat screen TV. Shared bath. Great room including TV, DVD, surround sound, queen sleeper sofa, very well stocked kitchen with stainless steel appliances and granite counter tops; deck with rocking chairs, table and chairs. Direct beach access. Top floor: Spacious ocean front king master suite, walk-in closet, master bath with large Jacuzzi, overlooking ocean; flat screen, DVD. Private deck with chairs. Overall: central air/heat, ceiling fans throughout, microwave, dishwasher, washer/dryer, water softener, 6 CCTV's, 4 are flat screens, 4 DVD/CD players, Wireless high speed internet access, free long distance in the US. 2 Pack n Plays, booster seat, stroller, adults’ and children’s puzzles, books and games. Available Year 'Round. Walking distance from shopping, restaurants, golf and pier. Linens provided with weekly rentals. The East Unit of this home is also available as a Vacation Rental. Rent entire duplex (8 bedrooms, 6 1/2 baths with connecting interior doors) and receive $100 off, subject to availability. Great for large families: 2 kitchens and dining areas, 3 living areas, 2 washer & dryers. See Crystal Charm East. RENTS SATURDAY TO SATURDAY. NO SMOKING! NO PETS! "Loved the house but it was very messy and sandy when we first arrived....the only real problem that I saw was the door to the deck was really hard to close, but I know that wood and moisture can be a problem... We had problems with the clothes washer but your maintenance crew was on it in a very short time, even on the 4th of July!! Loved our time on the beach...EMERALD ISLE IS THE BEST!!! " Thank you for your thoughtful words, Cathy. Crystal Charm-W is a great place indeed!! If there is ever an issue, big or small, contact us right away so we may work to remedy it. Our goal is for your vacation to be the very best one ever! Going into the future, we hope you and your family continue to stay with Shorewood for many years to come. Our Families had the best time ever at Crystal Charm-West. This was our second time on that side and we stayed on East before. We really enjoyed getting to meet the owners of the Beach House also. They are the nicest people!! We look forward to another visit in another year or so. We had the chance to have a Turtle lay her eggs right in front of the Beach House!! We wish we could come back when they hatch. The weather has been very very Hot in Ohio this summer but no ocean! "Crystal Charm east and west was everything we had hoped it would be. Shorewood is our favorite realty co on Emerald Isle!" 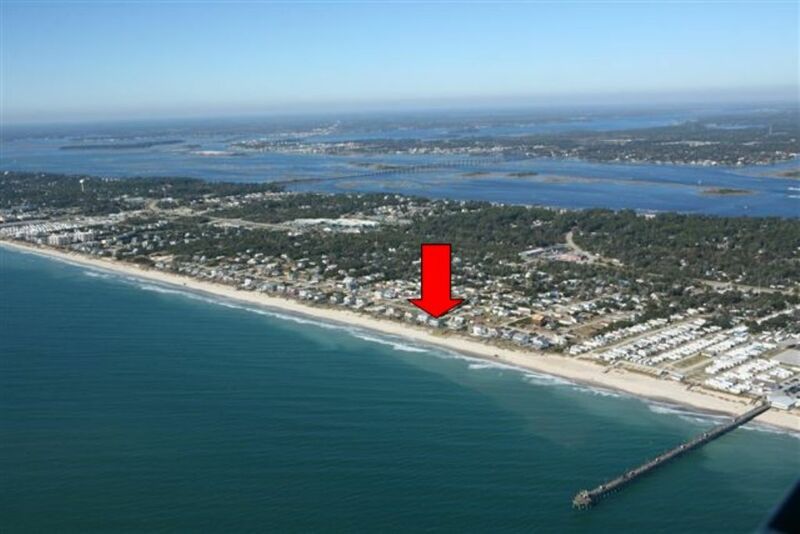 "Great location right on the beach w/in walking distance to the pier but not too close. Very clean--no bugs, no mildew. Game room downstairs w/tv was great for the teens. Double futon and single futon in game room was nice extra sleeping space for the kids. Large bedrooms and closets. Tvs in all bedrooms. Kitchen well stocked--had everything we needed and more. Nice enclosed hot/cold shower outside w/a separate changing area. Wonderful rental on a beautiful section of the beach." "Beautiful Home and view. Thanks to Kevin &amp; the owners for working with me on a month-long rental at government per diem rate. Thanks too for flexibility on number of days. Will try and do it again sometime in Sept-Oct-Nov. Also have 25 other folks looking to do the same thing. - House is well equipped and has everything needed for an extended stay. - Master bedroom door to balcony would not open. - Master bedroom carpet near door was stained from previous water intrusion. Appreciate all your help with a great stay in EI." Steve, below are links to golf courses in the area.